"This is the worst kind of crime against a family," says Sheriff Nehls. Crime Stoppers has increased the reward for info to $25,000. 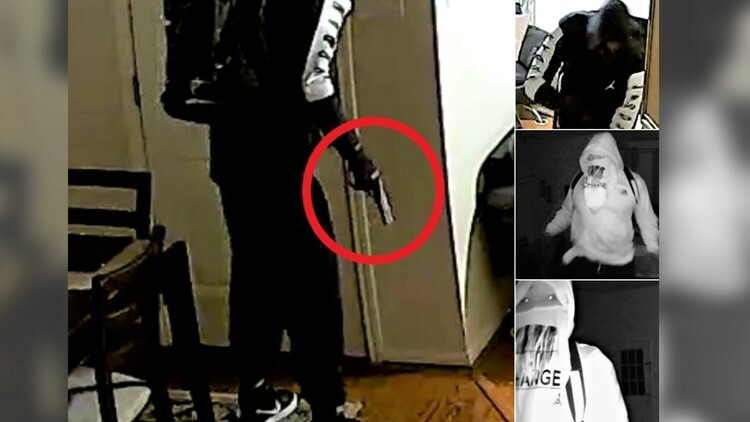 FORT BEND COUNTY, Texas – A child was taken to the hospital after being injured by suspects during a home invasion in Fort Bend County on Monday morning, and now deputies want to catch the people responsible. Around 3 a.m. Monday Fort Bend County Sheriff’s deputies were called to an urgent care center on FM 1464 in Richmond where the four victims were initially taken after the home invasion. Deputies said three masked men broke into the home where two adults and two children were sleeping. The suspects used the children to provoke the family into giving them items from the home, deputies said. This included taking a 7-year-old child and reportedly putting him in hot water in a bathtub during the attack. A fourth suspect outside the home served as a getaway driver. The boy had fluids in his lungs. His condition is not considered life threatening. The sheriff said the suspects held the family for about an hour as they ransacked the home, taking jewelry and money. While their faces are mostly concealed, authorities hope their unique clothing will give them away. One suspect wore a vintage Air Jordan men's hooded sweatshirt that is black with “Jordan” spelled out in white on the sleeves. Another suspect wore red sneakers that are believed to be Jordan basketball shoes. Crime Stoppers has increased the reward for information that leads to an arrest to $25,000. Anyone who has information on this crime is asked to call Fort Bend County Crime Stoppers, Inc. at (281) 342-TIPS (8477), or send a text message by texting FBCCS plus your tip to CRIMES (274637), or submit a tip online at www.fortbend.crimestoppersweb.com.